Getting quotes from international moving companies need not be a hassle. 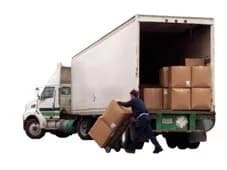 The team at Intlmovers.com can help you find the right moving company for your International relocation to France. Using the site is quick and easy, and is completely free. You will receive up to six quotes from international moving companies to help you with your personal or business relocation to France. All you need to do is select where you are moving from and moving to, complete the short request form and your details will be sent immediately to your selected moving companies. They will then get in touch with you directly via telephone or email to arrange your customized quote that is specific to your international relocation needs. Relocationing to France are logistical specialists. Their main business goal is ensuring safe, cost effective and efficient movement of your goods to and from locations all across France.